King Solomon Oracle Cards were inspired by the ancient seals that have become powerful symbols in the world’s religions. The 36-card deck taps into personal intuition to provide profound insights and answers to contemporary inquiries. 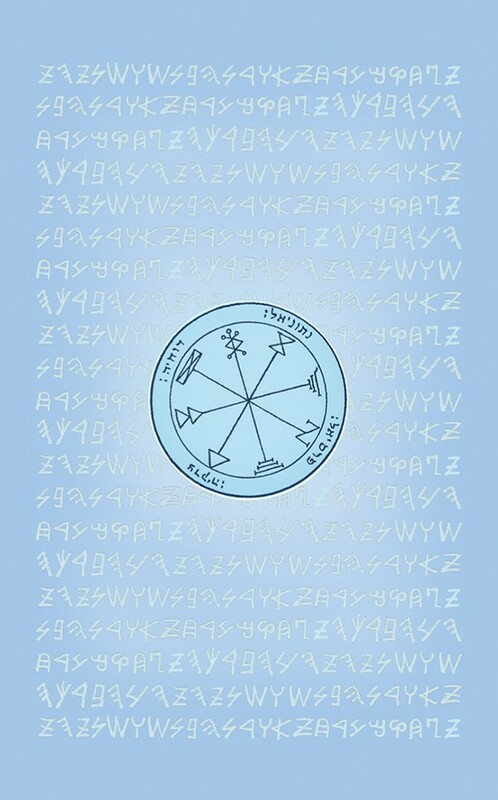 The cards incorporate several types of symbols: Solomon Seals; angel names; Goatic symbols, which transfer information from the subconscious to the conscious mind; and ancient script identifying the “72 names of God” — the kabbalistic names, which represent strengths. No special expertise is required to use the deck for personal daily readings. 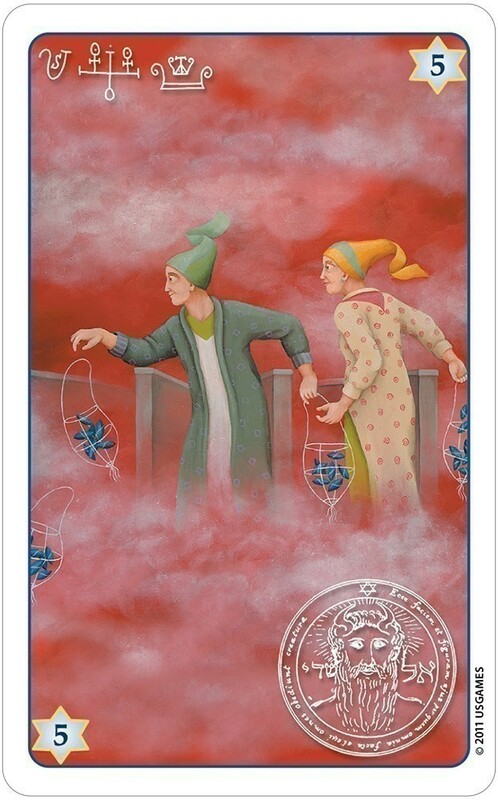 The cards bestow powerful insight into current situation and future outlooks. The King Solomon deck also includes four personal amulet cards. These charms are written in Angel’s writing and ancient Goatic symbols by kabbalist Itzhak Mizrahi. The four amulet cards relate to: livelihood, relationships, health, and security. Orna Ben-Shoshan, an original Israeli artist, introduces the viewer to magical and mysterious realms with her paintings. The metaphysical and healing nature of her creations draws the observer into an alternate reality that does not abide by the same laws of nature as the world we are accustomed to, and in which unanticipated and at times humoristic events occur. As a self-taught artist, she has developed her own personal and characteristic style over the years, designed to convey universal messages while meticulously ensuring aesthetics and clarity. The images are “transmitted” to her consciousness through channeling with alternate dimensions. Orna commenced her artistic career in the United States, where she resided for 15 years, creating and showing her artwork in numerous exhibitions throughout the country. Today she lives in Israel and creates oil paintings, digital art, illustrations and graphic designs. Her works are on display at galleries, museums and festivals all over Israel, the U.S. and Europe. Living in Ra’anana, Orna is married and a mother of two. Yitzhak Mizrahi - a metaphysical expert who is well known in Israel and abroad, with 34 years of knowledge and experience in the field of mysticism and Kabbalah. 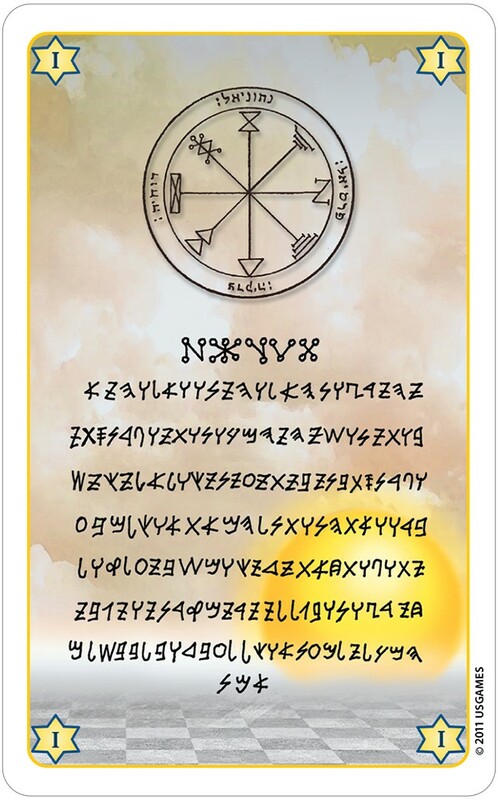 Born as the fifth generation in a family rich in fate advisors and karma healers, he is one of a handful of individuals endowed with the secret of writing King Solomon’s Seals according to the date of birth, the mother’s name and the time of writing. Yitzhak is a highly demanded lecturer in the fields of charms, amulets and talismans, reincarnation, dream interpretation and superstition. He deals with channeling, past life research, fate revealing, personal guidance and the creation of personally tailored charms and talismans. 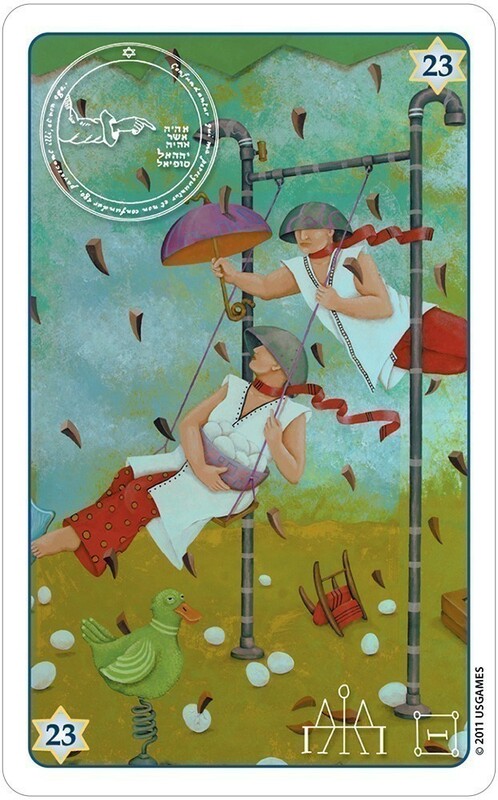 Cards measure 2.875" x 4.625"
Ms. Ben-Shoshan’s art expresses the card’s themes in a highly surrealistic manner.... Gazing at these cards is like getting a revitalizing brain massage – you can sense your synapses making happy “pling!” sounds as new connections and ideas emerge... 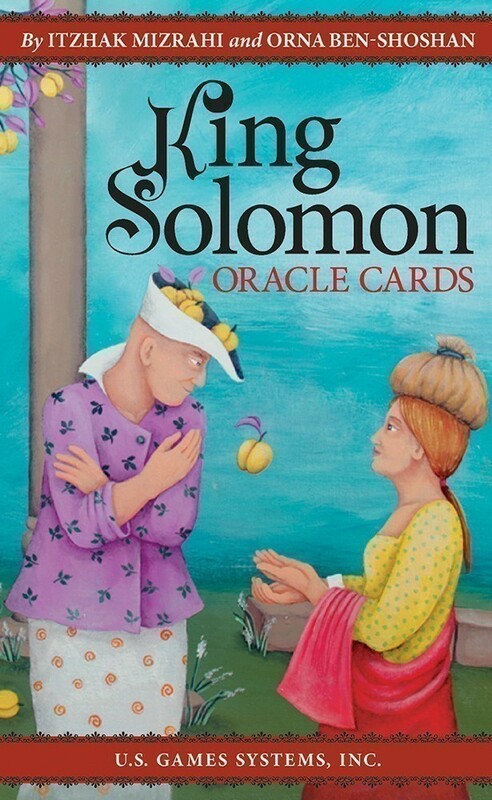 The King Solomon Oracle Deck is recommended for readers who enjoy working with surreal artwork, who are fascinated by talismanic symbols, and who want to get out of card-reading ruts. Orna's fantastic artistry never fails to delight and inspire intuition. The imagery she provides is fantastic fodder for intuitive reading. I'm always able to receive clear readings with her decks, as bizarre and fantastical as the scenes are. There's just something magical that happens when reading with one of Orna's decks. You see things in them that make perfect sense, and they have an uncanny ability to mirror what's going on in your life so miraculously. It's really quite something to experience! I definitely recommend this little gem of a deck for anyone interested in an oracle deck that will fuel your intuition and bring a bit of magical synchronicity into your readings. Although I usually do not play around with Oracle cards, I was pleasantly surprised by the profoundness and beauty of this deck. The artwork is simply gorgeous. Vibrant colors, whimsical yet magickal images and clear images of the Seals make this deck a wonder to behold. 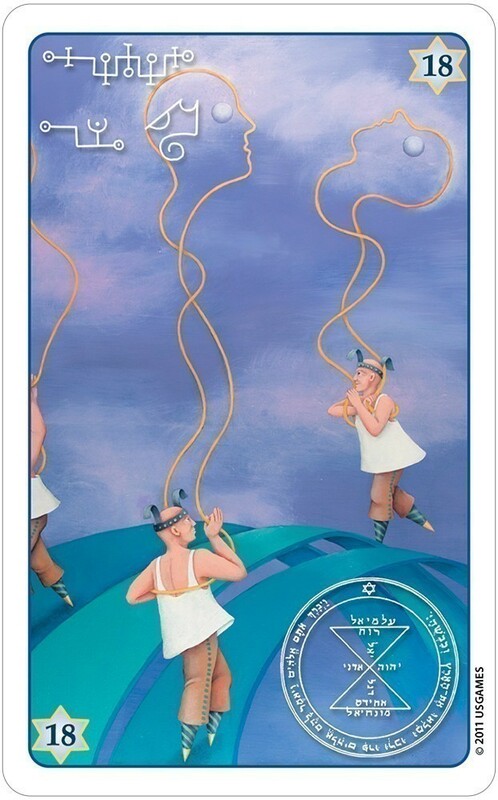 Some of the cards have a Goatic symbol while others have the "72 Names of God", the Kabbalistic names. (These are not written in Hebrew letters but in angel writing.) 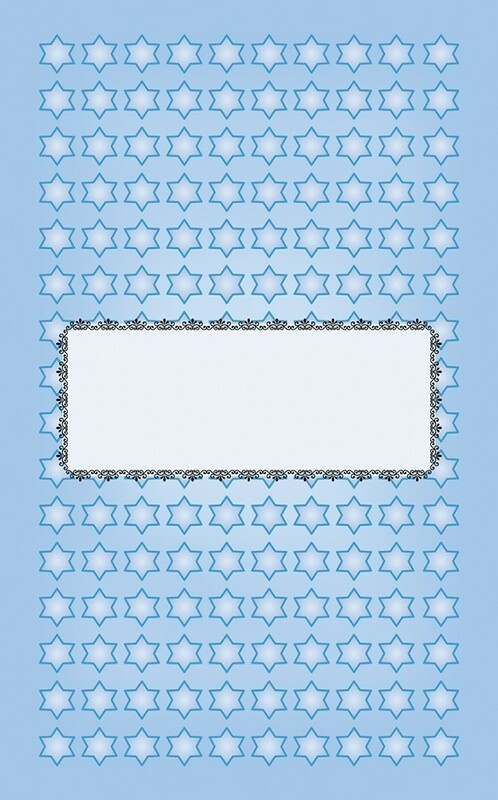 The backs of the cards are a pale greyish blue with a Seal in the middle. The authors state that the King Solomon Oracle Cards "were created as a personal deck for your daily use." While that may be the intention, I find them to be uncanny when I need simple advice. They have been accurate and wise in that use. I would highly recommend this deck to anyone who is looking for a simple oracle deck or who is drawn to the Seals. This deck is great for beginners and would be a lovely addition to any deck collection. The “King Solomon Oracle Cards” is a thirty-six card oracle deck, with four extra cards, entitled amulet cards, that are not intended to be used in readings. The four amulet cards are meant to be used as such – as personal, sacred amulets. They may be kept at home, or carried with the Seeker. They are written in Angel’s Writing and ancient Goatic symbols by the author, kabbalist Itzhak Mizrahi. They influence every aspect of the bearers life, as long as they are kept in their possession. According to Mizrahi, their effect will be felt after about 21 days. After 40 days, their sacred power will be quite noticeable. The instructions are to write your name, and your mother’s name, in the white space on the back of the card. 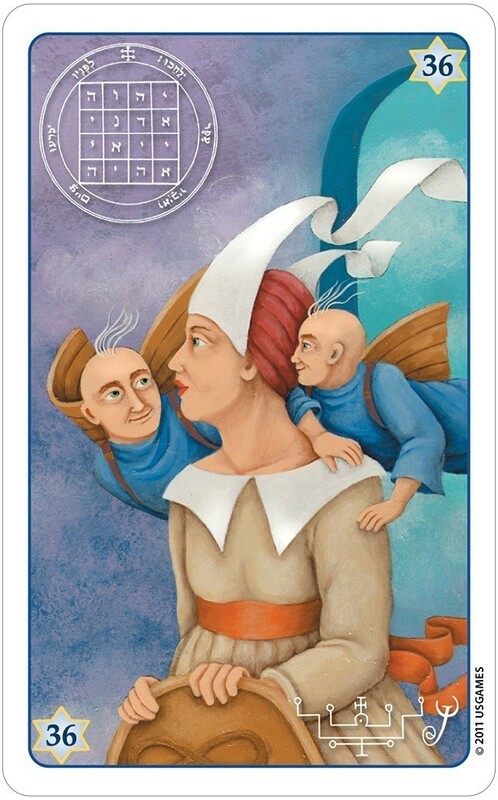 The four life areas that the cards cover are Livelihood, Relationships, Health, and Security and Protection. The mystical symbols are meant to connect the Seeker spiritually to the essence of their inquiry. In other words – to the spiritual response to their inquiry. The deck was created to be used as a personal deck for daily use. Morning reading help prepare the Seeker for the day ahead. I found the artwork and imagery to be very magickal, drawing the Seeker into the picture. The readings that I have done for myself have been very appropriate and enlightening. The deck works for me in a very deep way. Seekers from all backgrounds would have no problem working with this deck. How does one describe this totally unique deck of cards? Well let’s start with a few words my students, a group that included people who have never done readings before. I asked the group to each choose a card for their partner and then interpret the card for their partner, based on the pictures and symbols. This is a terrific deck for self-reading, pulling one card and asking myself "what insight do I need for myself today?" Many of the people who had the opportunity to look at these cards with me, are already asking where they can buy them. So does this make them a deck everyone should use, I can’t say, I know I am having fun using and learning more about them every day. Interesting and unique deck, with surreal artwork and Solomonic magic talismanic designs. This has been a dependably accurate oracle for me. The greatest thing about the deck is the four personal talisman cards ritually created by Itzhack, for the buyer. These talismans work!